Recent research published by IPSE, the Association of Independent Professionals and the Self-Employed found that 43% of their workers had worked for free. This rose to 86% of those in the creative industries. Now it doesn’t specify the timeline, i.e. is that 86% who have EVER worked for free or 86% who have recently worked for free? In a way, it doesn’t matter, because the issue is the same. There are a few isolated incidents where I think working for free can be justified. (1) If you are rightfully just starting out in something and need to gain a bit of a track record or need to get a particular kind of work for your portfolio, then it MIGHT be justified for you to do a LITTLE bit of work for free in order to get the first line or two on your CV or the first couple items in your portfolio. But even then, working for SOMETHING, even an honorarium plus expenses, is a better starting place. (2) If you choose to donate your time and expertise to a charity or non-profit (though I don’t think you should ever donate your time to a for-profit company). If it isn’t one of those two situations, then if you consider yourself a professional, you should be being paid for your work. Working for exposure seldom amounts to anything. If you want exposure, you would be far better to initiate a project yourself that you are completely in control of rather than working to someone else’s specs. Again, it seldom comes too much. The kind of people who are asking you to work for free are probably not the kind of people who are going to be in a position to open doors for you further down the road. 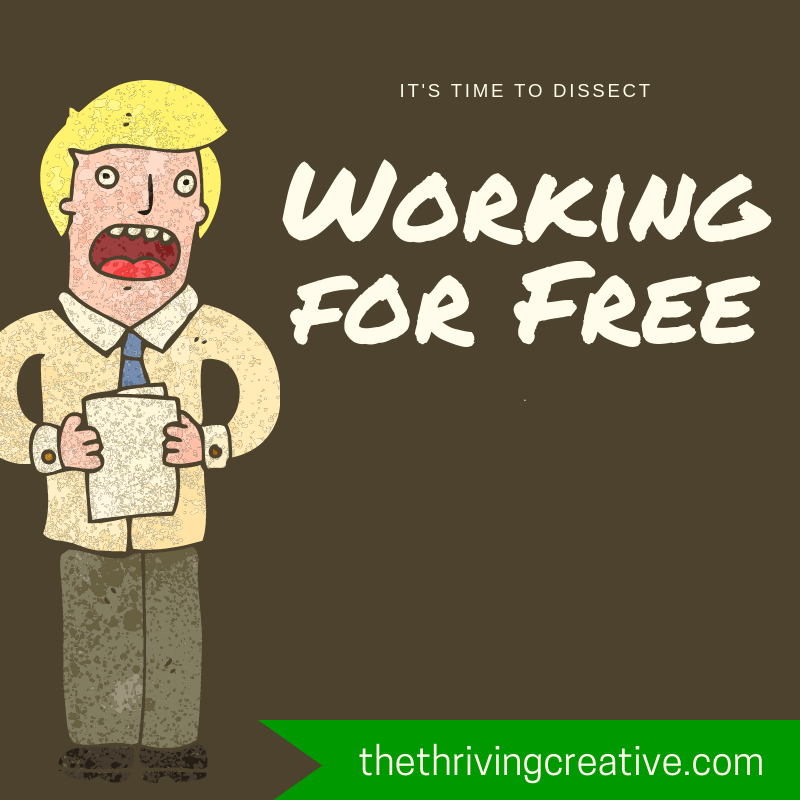 Not only are you giving away your professional skills and talents for nothing, which devalues what you offer, but there is also an opportunity cost. The time you spend working for free is time that you could otherwise spend on marketing yourself to people that can actually pay you and/or doing other forms of work that will pay you money that you can use to pay your bills and survive. Or to put money aside so you can afford to do a project for yourself. If you don’t start valuing your time, who else is going to? It’s fear that makes us say yes. Fear that we’ll never find another gig. Fear that we aren’t worth charging proper money for our work. 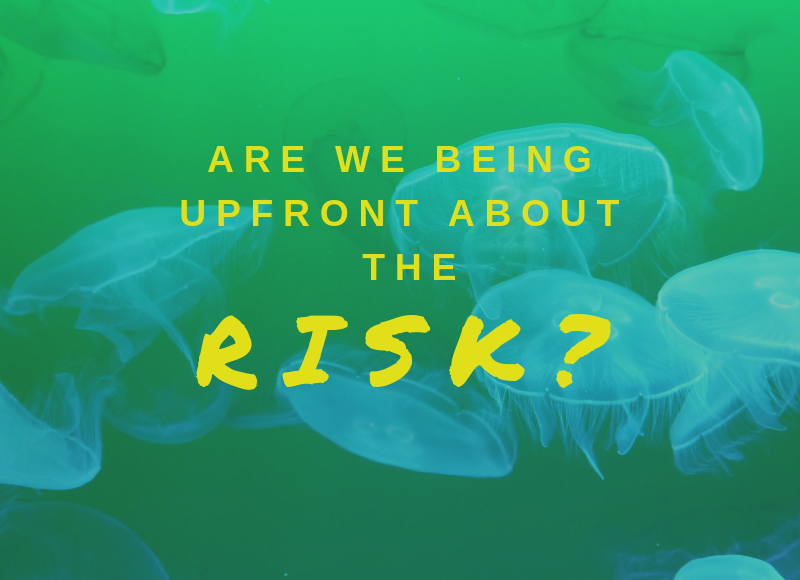 Fear that we are somehow letting an opportunity slip through our fingers. Stare deep into the unknown and trust that something that pays real money will come, that your abilities are worth charging for, and that by saying no to this free opportunity you are leaving yourself available to put your time and energy into finding a paid opportunity. Each time you do that you are taking another step towards seeing yourself as the professional that you want others to see you as. P.S. There is nothing wrong with bartering, where you exchange your services for something else of value. But the point is that it needs to be something of CONCRETE value not POTENTIAL value. Betting on potential value (that the exposure will somehow help you, that the people you will meet will somehow help you) is like buying a lottery ticket – there is a slim chance you will win and a very large choice you won’t. That’s not a gamble worth taking here. But trading your acting services for someone else to do your taxes, or trading your painting for 20 hours of babysitting or some other trade that you consider equal is worth exploring.